Getting some fresh air with the birds | gingerbread smiles. Right in the heart of Teesside's Industry - near the Transporter Bridge! The reserve building - beautiful architecture with a great cafe and shop! Splashing around in my new wellies! 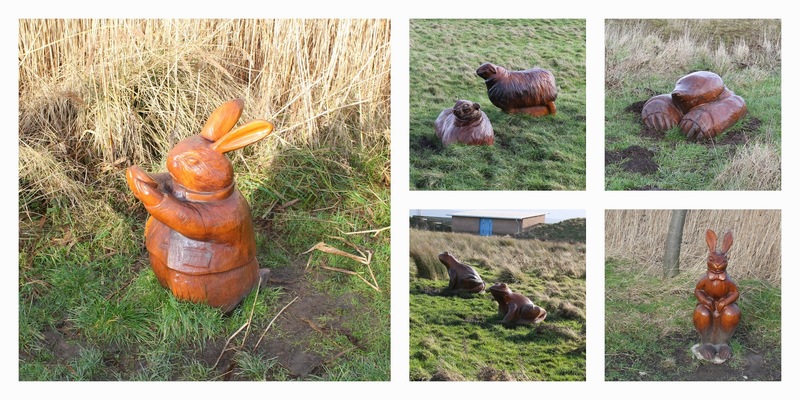 Alice in Wonderland themed wooden sculptures! Although we didn't really see any birds, although were we looking really? It was a really nice place to just walk around and get some fresh air. Its such a friendly place that is definitely worth a visit whether or not you are a twitcher! Has anyone been before? What did you think? Oh wow! The Alice in Wonderland scultures look incredible, some amazing art!